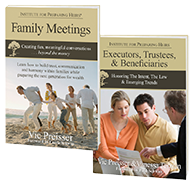 This is the second in a series of articles based upon the new book, Executors, Trustees and Beneficiaries: Honoring The Intent, The Law and Emerging Trends, from the Institute for Preparing Heirs. This article focuses on new thinking around the role of executor for both individuals asked to serve and those who are doing the asking. Typically, clients seek advice from wealth advisors, estate attorneys and tax advisors to prepare their assets for transfer to beneficiaries—spouses, family members and others they hold dear. 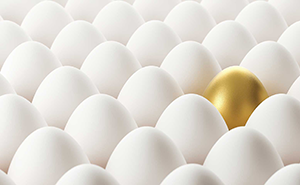 What commonly is overlooked is the preparation of the beneficiaries to receive and manage the assets in a manner that honors the benefactor by carrying forward that individual’s values and legacy. Enlightened advisors trained and equipped in engaging client families in inheritance conversations can offer clients new thinking and new tools to prepare the heirs and beneficiaries, and to aid in choosing an executor. Being a good executor starts by asking the right questions to understand the role and the impact the executor can have on the future of not only the beneficiaries, but an entire family for generations to come! The authors write, “ . . . you may be willing to accept a friend or family member’s request to be an executor, but are you fully informed on the family dynamics and prepared for what your responsibilities may entail?” Family dynamics play a far greater role than most imagine. When issues within the family involving trust and communication go unresolved, family unity is put to the test once the benefactor has passed. 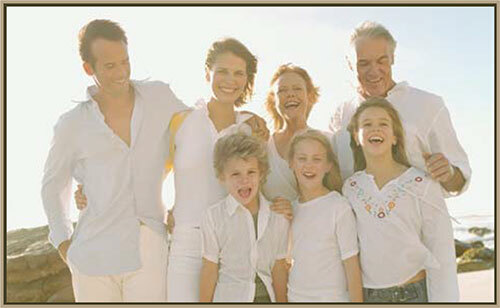 Enlightened advisors can create awareness of the risks of wealth transition in affluent families in a number of ways: Offer books and articles on the topic, host a client event with a speaker knowledgeable in the non-financial impacts of wealth transfer, refer resources (family consultant/coach) to families who seek outside help. Executors, Trustees & Beneficiaries asks and answers more than 100 questions relating to the roles of executors, trustees and beneficiaries. It also includes helpful checklists and family story examples. A few of the questions and answers related to the role of executor are contained below. What are some of the skills that make for a good executor? Depending upon the situation, the universal skills that seem to be most valued surround the characteristics of personal integrity, patience, a sense of calm, a desire to avoid drama, and the ability to communicate clearly. Closely on the heels of those characteristics are the desirable abilities to work easily with other professionals, careful reading and understanding of the written requirements for the executor, and “staying close” to the appropriate professional advisors. How does an executor candidate evaluate a potential executor job? Do I want to serve in this role, or do I feel an obligation to serve? Am I competent and emotionally able to carry out this task? Do I have access to wiser and more experienced parties as needed? What is the compensation for my time and emotional investment? How contentious or disputative are the issues likely to be? Are my personal risks covered (liability, etc.)? What is the likely impact on my family and those who depend on me? Will I have the proper tools and resources to serve in this capacity? What are some of the things most commonly done by executors? What’s the best thing that can happen as a result of being a good executor? Frankly, it’s the personal reward (beyond any financial compensation) that one has carried out the wishes of the person that appointed him/her as executor. It’s a personal feeling of, “I have done what I was asked to do as if my predecessor were here beside me . . . and everyone sees that.” The next best things are avoiding being the subject of any litigation during your tenure and contributing to the well being of family unity. Perhaps the best testimonial an executor could have would be for the beneficiaries (or other persons impacted) to agree: The executor was really in tune with the benefactor’s wishes, communicated clearly, and handled matters just like Mom or Dad would have done if they were here today. Introducing new thinking and new tools to clients is an opportunity for advisors to engage with the entire family. Studies show that advisors who do not have a meaningful relationship with the heirs are more than likely to lose the heirs as clients once wealth transitions.